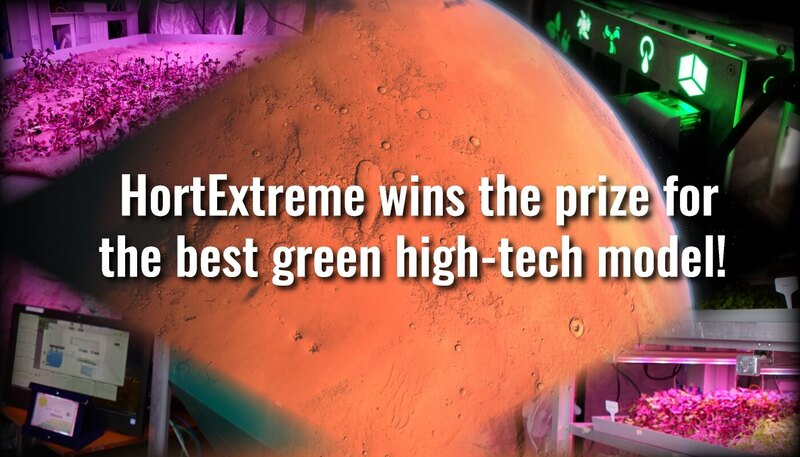 HortExtreme wins the prize for the best green high-tech model! “The ‘martian’ vegetable garden made in Italy wins the prize for the best green high-tech model! The prototype of the HortExtreme project was recently visited by President Mattarella at the Casaccia Research Centre (ENEA). The HortExtreme project, conducted by ENEA, the Italian Space Agency (ASI) and the University of Milan, won the “ECOtechGREEN” award as the best high-tech green prototype, among 19 candidate projects. The innovative Italian vegetable garden was protagonist last February in Oman, together with another 15 international experiments, of the Amadee-18 mission, coordinated by the Australian Space Forum and aimed at simulating some of the conditions of the Red Planet, with the objective to test tools and processes for future space explorations. To provide fresh micro-greens to the “analog” astronauts – on that occasion amaranth, cabbage, mustard and radish – the Italian research with the Hortextreme project therefore thought about it, the results of which will be disseminated in 2019.” – Excerpt from article published by ENEA.